In yachting circles, Fürstenberg an der Havel is a common name and is actually a desirable destination where many enthusiasts converge due to its natural beauty, plenty of sailing opportunities, abundance of sights and a sailing-friendly infrastructure. 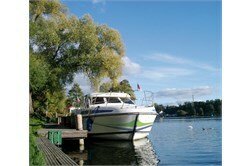 Whether you’re a beginner or a yachting veteran, you have to visit Fürstenberg an der Havel at least once in your life. 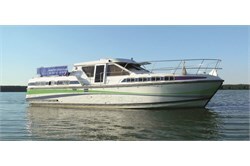 The YachtBooker site is glad to provide you with a large offer of boats in Fürstenberg an der Havel and in other places around the world as well. If you are in search of an yacht offer, simply head to the YachtFinder® menu on this page which is located in the left upper corner and start choosing criteria that best suit your needs. You can choose a country you wish to visit, a type of boat you wish to travel in and the departure time and length of your holiday.